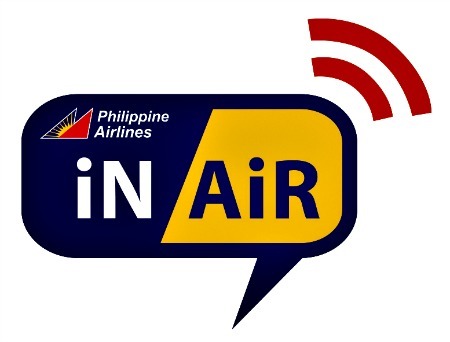 Passengers of Philippine Airlines can now make phone calls and browse the internet while inflight with the installation of OnAir cutting-edge connectivity equipment on PAL's long-range aircraft. The novel service, called PAL iN AiR, is made possible with the installation of the first inflight connectivity hardware, called GSMConneX, on a PAL Boeing 777-300ER aircraft that flew from Manila to Vancouver last July 9, 2013, providing passengers with GSM and WiFi services during the flight. The special connectivity equipment will progressively be fitted in all B777 and Airbus A330-343 aircraft of PAL. PAL is the first commercial airline installed with the GSMConneX equipment supplied by TriaGnoSys, while OnAir is the supplier for the GSM and WiFi connection. PAL President Ramon S. Ang said, "Allowing our passengers to call and surf the web while flying is another first only a legacy carrier like PAL can offer. This new service is part of our strategy to provide only the best to our customers." Aside from connectivity, the GSMConneX platform was designed to host a wide range of software application modules, including entertainment and non-flight-critical cockpit applications. The GSMConneX hardware is manufactured at TriaGnoSys’ headquarters in Oberpfaffenhofen near Munich, Germany.